“Your web profile features your photos along with your profile photo and bio, giving others a look at the content you share on Instagram”, the team wrote in a blog post. The company says it is launching web profiles “to give you a simple way to share your photos with more people and to make it easier to discover new users on the web”. It was about the goddamn time, if you ask me. As always, there’s a catch: you are not currently able to upload photos to your account from the web because Instagram would really like you to continue using its mobile apps to share snaps. Anyone visiting your profile on the web can follow you, check out your images organized chronologically and grouped by month as well as comment and like photos. Don’t worry, photos set to private will only be visible only to logged-in Instagram users you’ve allowed to follow you. 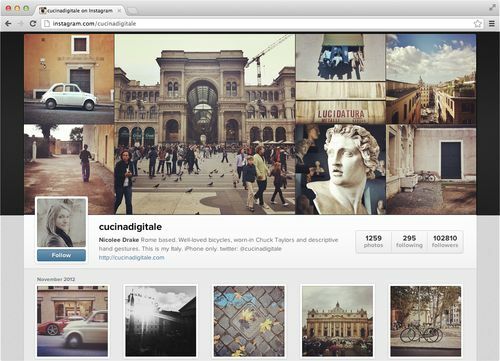 To see and edit your own profile (or check out other people’s profiles), simply visit instagram.com/username in your web browser. You may not be able to edit your web profile at the moment because Instagram is gradually rolling them out to users “in the next week or so”. Here are two example web profiles to get you up to speed. 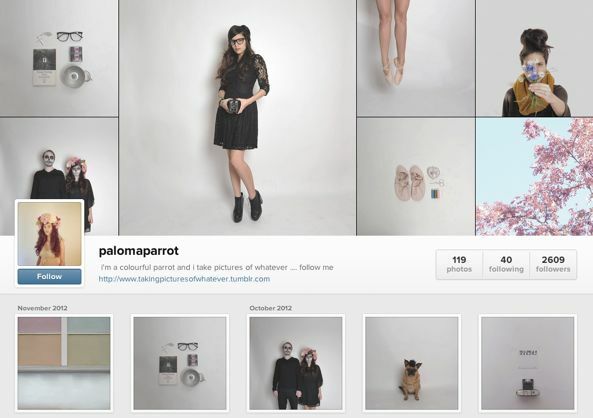 Instagram back in June also added Facebook likes to its iOS and Android client alongside revamped user profiles. And just last month, the company introduced another useful change that automatically translates Instagram @mentions to correct Twitter usernames in tweets. 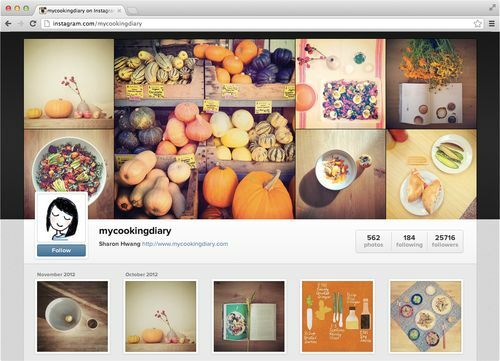 As the Facebookification of Instagram begins, competition isn’t standing still either. For example, Twitter is reportedly in the process of adding Instagram-like filters to its mobile apps in an effort to persuade people to use the leading micro-blogging service for photo sharing instead of Instagram. If you’re reading this, chances are you’re into mobile photography so why not check iDB’s comprehensive and constantly updated iPhone photography series? The new web profiles also open interesting monetization possibilities as brands can now point visitors to a landing page on the web. Wanna bet how long before we see Instagram Pages for biz?